It’s Friday, which means it’s time for another Destiny Xur location and item post here on PlayStation LifeStyle. This weekend players can spend 23 Strange Coins on the Monte Carlo auto rifle. Hunters can grab the Lucky Raspberry chest armor, Titans can pick up the Helm of Inmost Light helmet, and Warlocks can purchase the Purifier Robes chest armor which all cost 13 coins. Xur is also selling Legacy Body Armor Engrams for 29 coins. 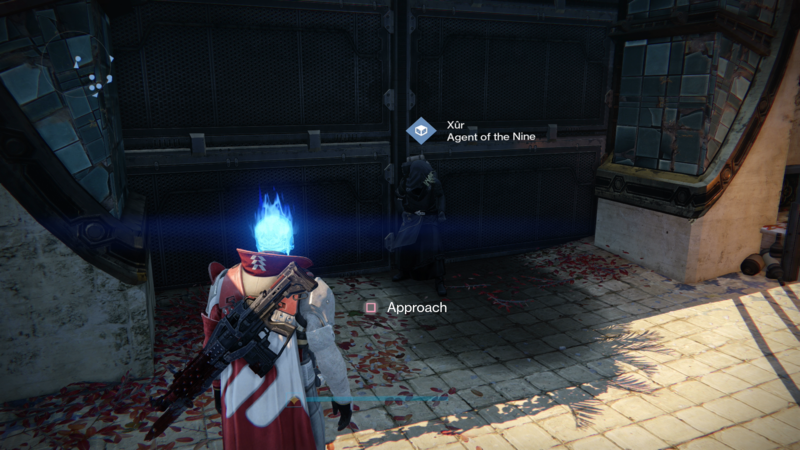 For this week, Xur – Agent of the Nine can be found opposite The Speaker, in Tower North.